Domino XM2 Throttles are the best and most popular throttle controls used in racing today and essential for all racers and track day riders. 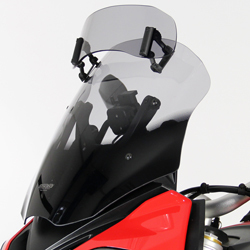 With a Lightweight Aluminium Alloy body construction clamped with Titanium bolts, these are of the highest quality and guaranteed to attach firmly to your clip-ons or handlebars. 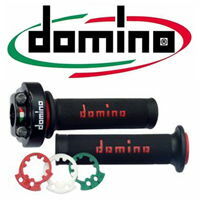 Supplied with Black and Red race grips (126mm long), and also compatible with all other 126mm Domino Race or XM2 Road Double Super Soft Grips, available separately. 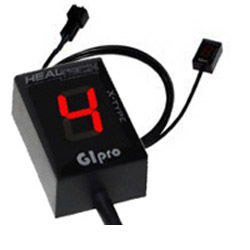 !quick-action, throttles, handle, bar, bars, handlebars, cbr, fire, blade, 600, 1000, r6, r1, r1m, yzfr6, yzfr1, yzfr1m, yzf, 07, 08, 09, 10, 11, 12, 13, 14, 15, 16, 17, 18, 19, 20, 2007, 2008, 2009, 2010, 2011, 2012, 2013, 2014, 2015, 2016, 2017, 2018, 2019, 2020! HI I Firstly the info on most of the Web site where you purchase one is a little incorrect. The throttle comes with 3 rings for different riding styles or conditions green = normal Red. =progressive White = Racing. Good throttle needs a lot of adjustment but good product.